Coffee lovers are a diverse and complex lot. You have those that love their brew light and fruity, those that would sacrifice their first born for a heavenly espresso, and then you have the badasses that get a kick out of piping-hot, full-bodied joe. If you happen to fall in that last category, then the percolator was designed specifically for you. So what is a coffee percolator? It’s the Charlie Sheen of coffee makers; was popular back in the day, hated by some, but endearing to a select few. It’s for those coffee lovers who know exactly what they like and don’t care what the aficionados out there have to say. It consists of a pot with two chambers connected by a vertical tube: one that acts as a reservoir and another for placing the grounds. 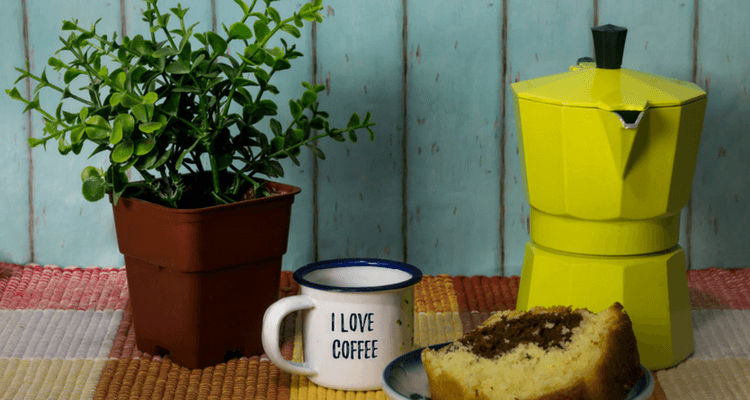 Percolators have been around for quite some time now and despite all the fancy and complicated machines that have sprung-up, they still enjoy a pretty loyal fan-base. The reason behind this die-hard allegiance, you ask? Well, it comes down to two things: simplicity and reliability. This old-timer’s operation is very straight-forward. You fill the lower chamber of a pot with cold water, place ground coffee in a perforated upper chamber, then heat-up the pot. When the water approaches boiling pot, it rises up the vertical tube, soaks the coffee in the upper chamber, gets cooled and slightly flavored, then drips back down into the reservoir through the perforations. This is what the cool kids call 'perking’. This cycle is repeated for a number of times until you have hot, rich-flavored brew that the aficionados can choke on. What are the types of percolators? You can opt for either the stove-top or electric variety. As the name suggests, stove tops simply require you to place them on top of your cooker and wait for the perking to begin. But these percolators have one main problem: over-extraction. If you fail to closely monitor the time and temperature, you end up with a brew so bitter it will make you wince with every sip. And that’s where the electric version comes in. This baby manages to give you that full-bodied flavor you crave for without venturing into bitter territory. Temperature is maintained between 195 & 200F for a set amount of time to ensure that things don’t go overboard. But stove tops are still brilliant for when you’re in the great outdoors and have nothing but a raging camp fire, or if you want unadulterated control over the whole brewing process. Most percolators make between 4-8 cups of coffee and have a level indicator to guide you. So add cool water to the reservoir, making sure not to exceed the indicated level. For the best results, go for filtered or bottled water; you don’t want any chlorine getting between you and a sip of heaven. Carefully fix the tube assembly and upper basket to the pot. Percolators don’t normally have a lot of separate parts to figure out, so this should be a total breeze. The amount of coffee you use will largely depend on your preferences. But 1 tablespoon of grounds per cup is a good place to start. Feel free to tweak this over time to settle on the quantity that perfectly hits your sweet spot. If you’re using an electric percolator, simply plug that bad boy in, turn it on, and wait for technology to do its thing. But if you’re cool enough to go for a stove top, then you have to put in a bit of work. Make sure the brew doesn’t boil; if that happens, then you greatly risk ruining the coffee. So place it on medium heat until you see the water start to splutter to the top. Once this happens, lower the heat until the brew perks at a rate of about once every three seconds. If you’re using a camp fire, simply move the percolator to the edge of the fire once it starts to perk. Majority of the percolators have a transparent top that allow you to see what’s going on inside. So check on the color of the brew; the darker it is, the more ready it is. Also monitor the rate of spluttering and any incidence of steam. If the water is perking too quickly or you start seeing steam, then it’s best to lower the heat. Once it starts perking, you should remove the percolator from the heat source after 5 minutes. But again, you can play around with this time until you land on your ideal strength. Don’t wait too long though, or you’ll inevitably over-extract the coffee grounds. After the 5 minutes of perking, remove the machine from the heat source and take out the coffee grounds immediately. Leaving them in there can result in grounds in your cup, or even worse, make your coffee bitter due to continued extraction. Congratulations. You can now head to your favorite spot in the house. Grab the morning paper. And stress yourself out over Sudoku as you enjoy an ethereal cup of joe. Since percolators don’t really have proper filters, the brew can oftentimes appear cloudy. But letting it sit for a bit allows the sediment to settle to the bottom of the cup, leaving you with total deliciousness to sip on. What is the right coffee to use? To get the most out of your percolator and produce brew that floats you right up to cloud nine, you have to go with the best coffees for it. Perk machines love coarsely ground coffee. These machines heat water to very high temperatures, so fine coffee would lead to over-extraction. A coarse grind on the other hand ensures that water runs through it freely, with the large particles preventing over-extraction even in the wake of the high temperatures. Go for a medium roast. 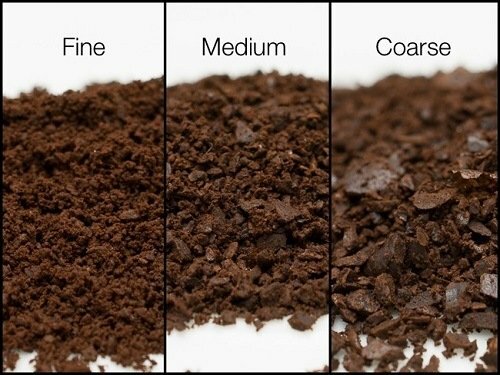 A darker roast is likely to produce bitter tasting brew, while a light roast will lead to watery results and leave you hurling insults at your innocent percolator. Don’t be afraid to experiment with different kinds of blends; unleash that adventurous side! But Colombian and Indonesian coffee are particularly good for percolators. They produce rich and robust results that are brilliantly brought-out by the perking process. What's The Best Coffee Percolator For You? weather you're looking for electric or stove-top, we have you COVERED with our top ten list! And there you have how to use a percolator! If you’re brave enough to brush-off the naysayers, and if you love your coffee full of flavor, then a perk machine will be your perfect companion. Yes, it doesn’t produce the sophisticated brew of a French Press, and yes, it might not have all the bells and whistles of a drip machine. What it does though, is reliably give you a steaming cup of joe with an unmatched amount of charm infused in there.